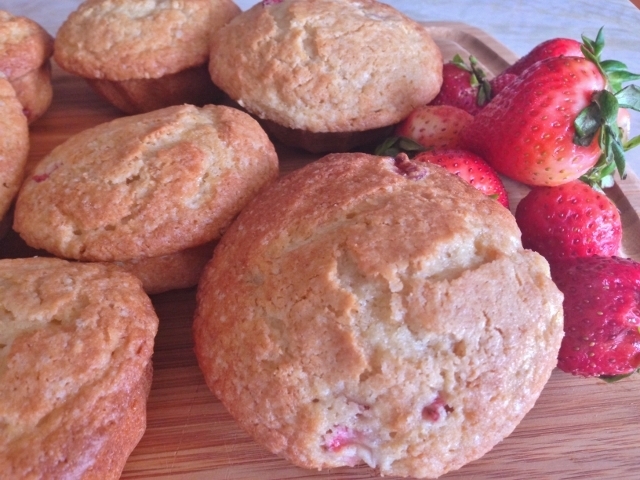 Strawberry Lemon Muffins - Recipe! - Live. Love. Laugh. Food. I love strawberry desserts like shortcake and pie, but strawberries for breakfast are even better. 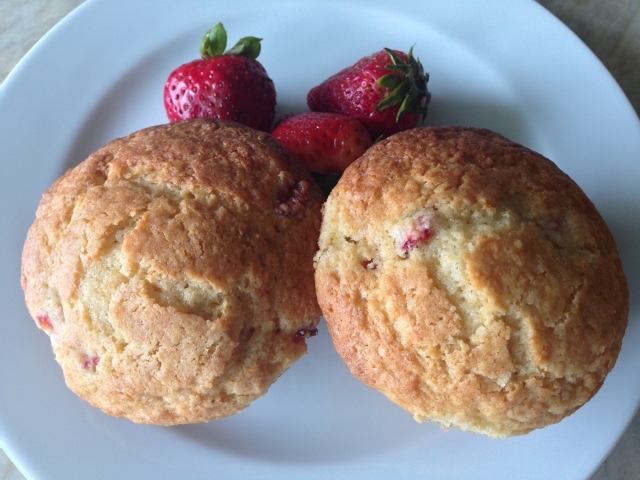 In this recipe for Strawberry Lemon Muffins, I use chopped fresh strawberries for a moist crumb and fruity flavor. The lemon in the muffins comes from the zest of a Meyer Lemon, which gives this recipe a subtle citrus boost. I think you will love the combination of fresh flavors and it is the perfect way to start any day. 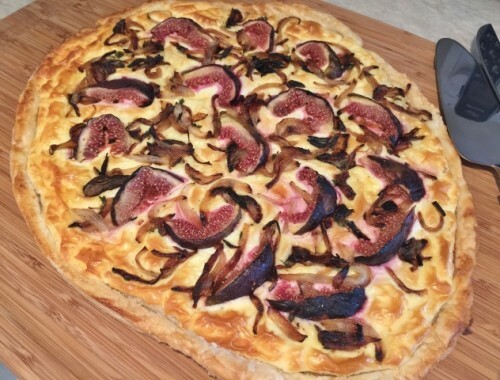 Bake a batch on the weekend for breakfast or brunch and they pair nicely with salad or quiche for an afternoon luncheon. If you have any leftovers, you can wrap them in plastic wrap and store in the refrigerator for up to 2 days, but I doubt they will last that long. 1. Preheat the oven to 350 degrees. Brush your pan with softened butter and set aside. 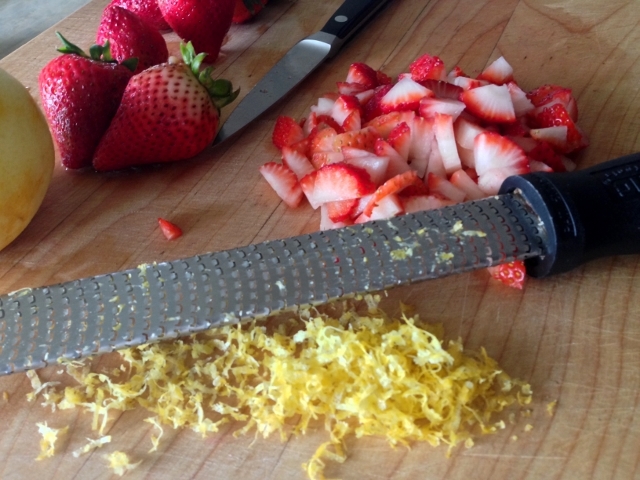 Zest the lemon and chop the strawberries into medium dice. 2. 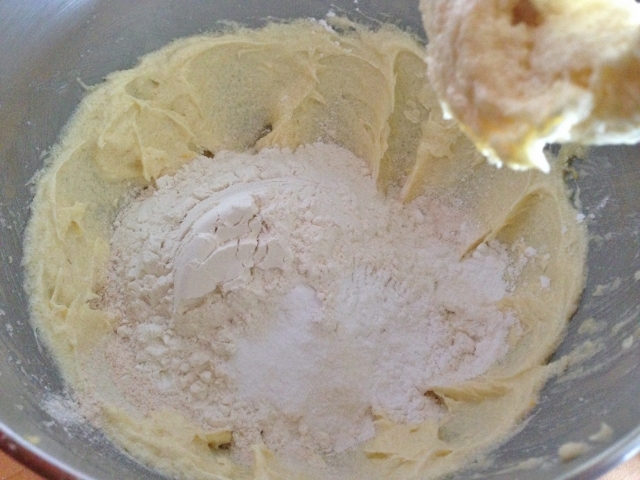 In a stand mixer, add the butter and sugar and cream together for 3 minutes. 3. 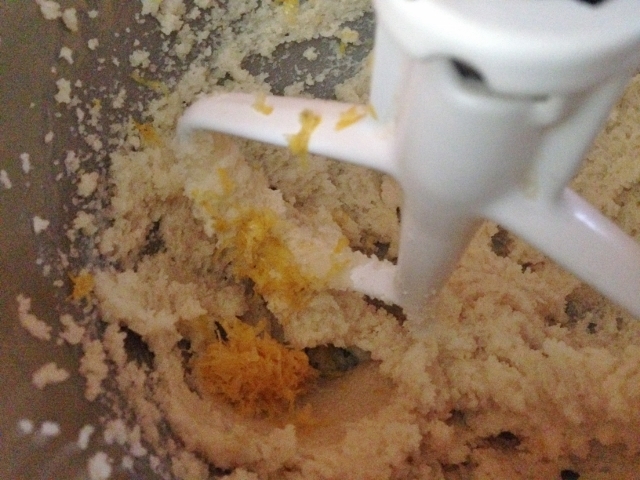 Then, add the lemon zest and mix for 1 minute. 4. 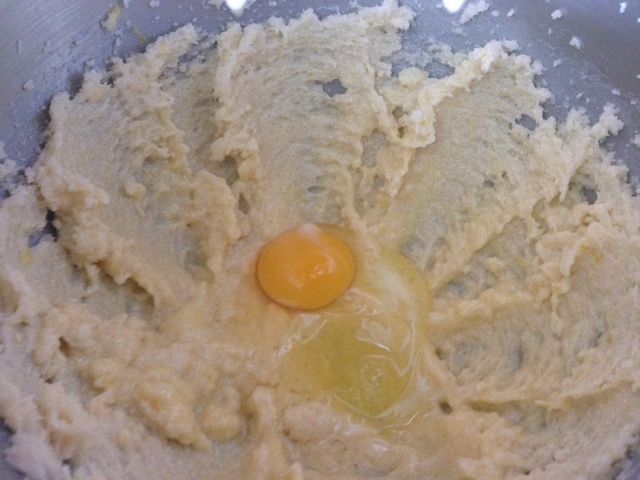 Next, add the eggs one at a time, mixing on high for 1 minute in between each egg. 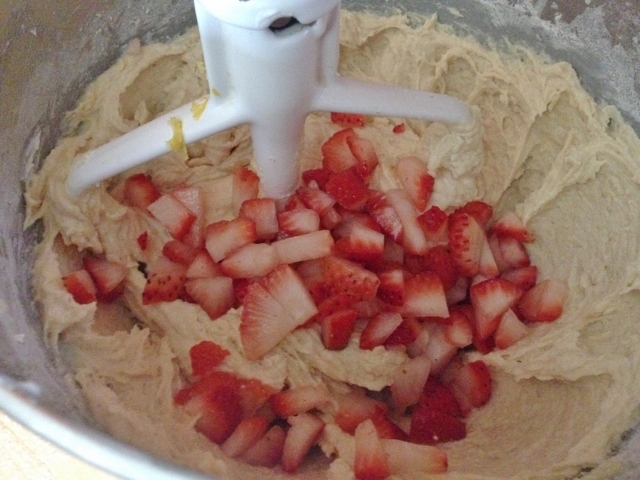 Scrape down the sides of the bowl and mix for 1 minute. 5. 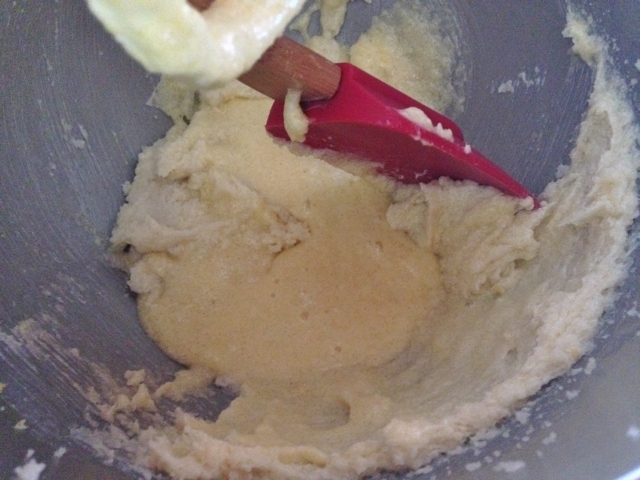 Then, add all the dry ingredients to the butter mixture and mix on low for 1 minute. Next, add the yogurt and mix for 1 minute. 6. 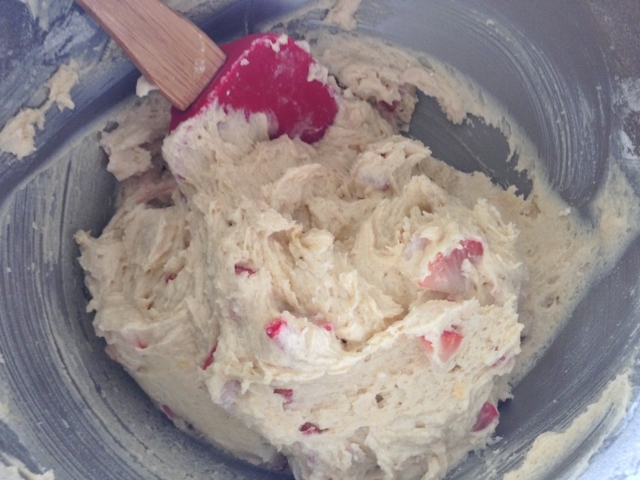 Next, add the chopped strawberries to the batter and mix on low for 30 seconds. 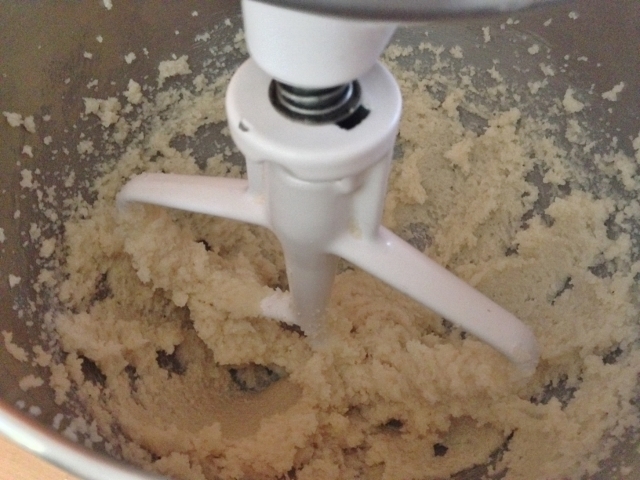 Remove the bowl from the mixer. 7. 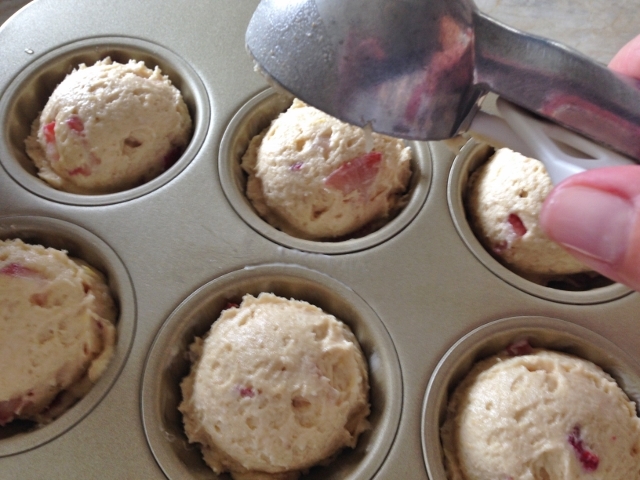 Using an ice cream scoop, dollop the batter into the prepared pan. 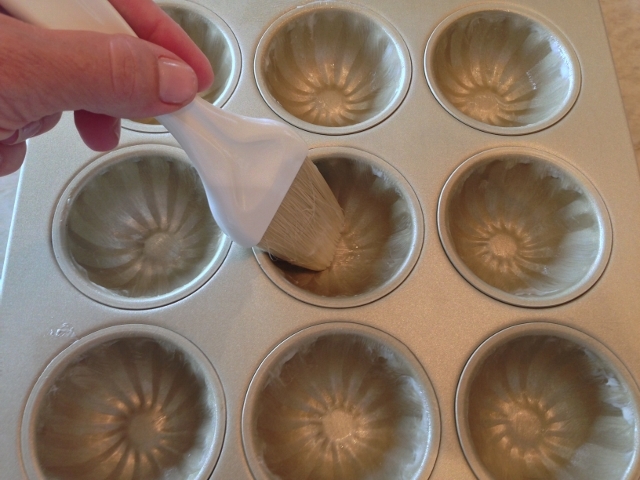 Fill the cups evenly and bake for 20-22 minutes or until lightly firm on top. 8. 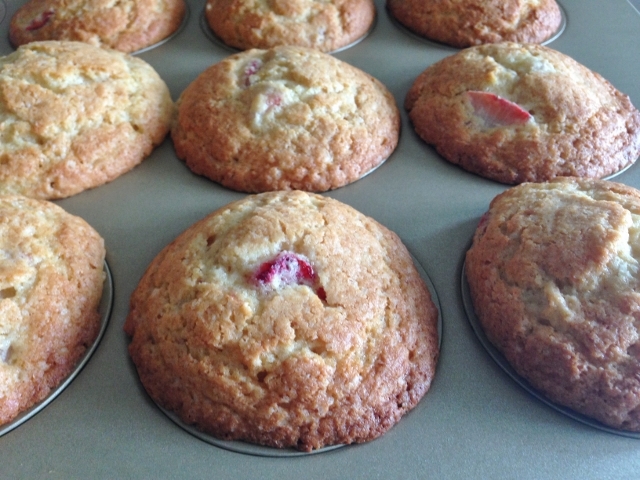 Remove the muffins from the oven and let cool for 10 minutes in the pan. 9. 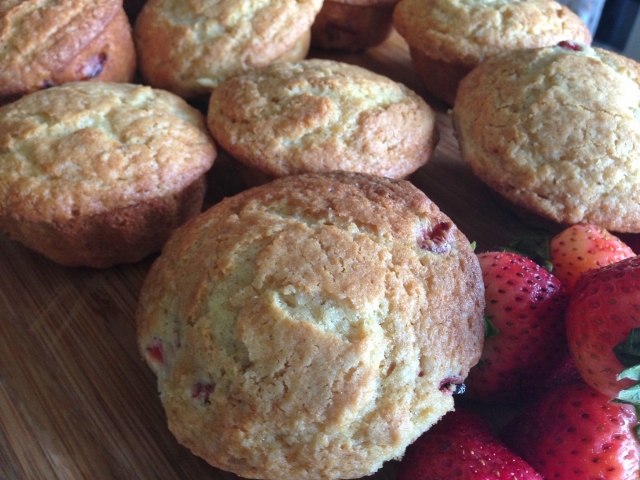 Flip the muffins out onto a board or large platter and let cool for at least 5 minutes before serving. 10. 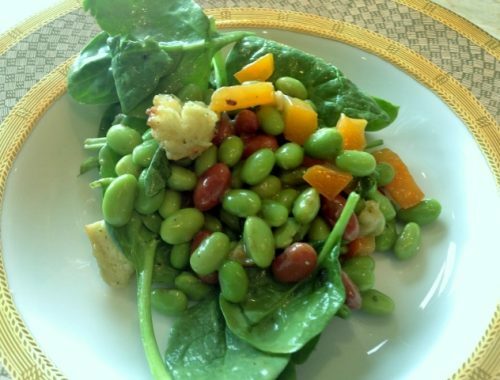 Serve on plates with fresh fruit or all by themselves. Enjoy! 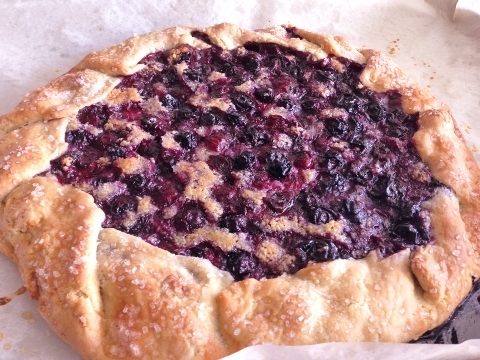 Rustic Blueberry Almond Tart – Recipe!